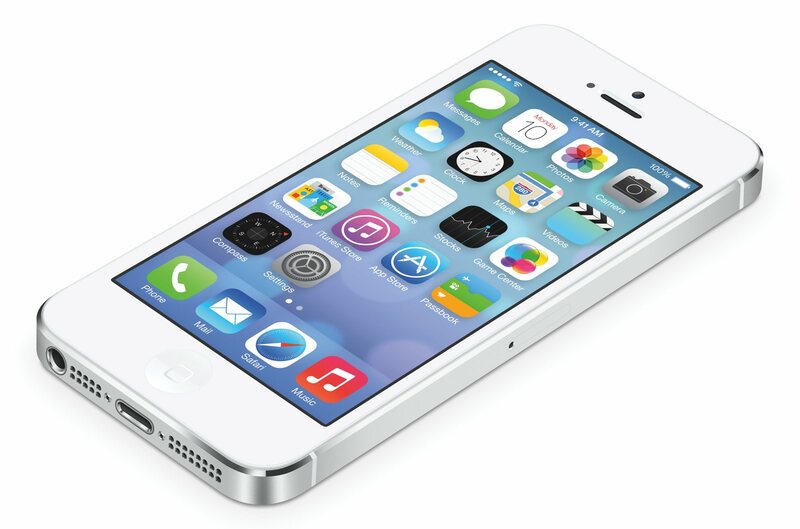 I was able to obtain an iPhone 5s last October, which set the stage for a zippy new experience and allowed me to download whatever I wanted with the extra power. There were definitely a lot of Facebook Ads trying to get me to download their games and apps, and I’ve stuck with some and deleted others. Here are some of the top Good and Bad Apps I’ve tried since Christmas day. (1) Any Free Game that adds MicroTransactions and makes Gaming Excellence dependent on spending. I’ve noted after putting down quite a bit of money (gifted to me in iTunes gift cards) that there is always someone who is willing to outspend you. Particularly The Hobbit, which is actually a fun game (as long as you have cash to spend), where I put down tons of money to advance quickly enough that I didn’t get trounced. At a certain point, I had to decide that I wasn’t going to spend my own money on it, and not on any other game either. I’d rather pay an app fee and have no more payments after that, than have to outspend everyone else on the internet. I think this is like gambling but actually more like giving tons of nearly free money to the game company. And I don’t and will never play Candy Crush! I’m intrigued by Clash of Clans, but again – I don’t want to spend the cash to be top dog. (2) Snapchat – I just don’t get it. People send out pictures, I can’t access my photo album, so its all live, there are ticking clocks, and supposedly it isn’t very secure. I have it installed, but I’m about to completely rid it from my phone. Still trying to figure out why it is so interesting to so many people. Maybe someone can give me a tutorial in it sometime, but right now, I’m lost. (3) Quick Office – I recently thought I would be a hotshot and write an entire article for our local paper on my iPhone. I ended up failing miserably, because I wasn’t as careful as when I’m on my laptop, partly because of the small atmosphere, but also because the menus and scrolling don’t work as nicely as they could. I ended up leaving out some quotation marks (ultimately a proofing fault of my own), which caused me to have a somewhat strained conversation about knowing how to attribute others works. I was incredibly embarrassed and won’t be doing that again. Back to the old fashioned Word on the Mac until I am able to see clearly and have a bit more clarity on how a .doc is supposed to work on mobile. (3) iTunes Radio – I still use Pandora, but iTunes Radio has been getting better and better. I also think that the ads are more appropriate. On Pandora I was listening to symphonic video game music, and suddenly people were screaming about condoms. I was resting a bit and thinking, and it completely jarred me. iAds seem a bit less invasive and I listen when I decide to. Tends to be more normal conversation. Not only that, but the lists are getting better (I really liked the Christmas Pop Charts list, which I used for two youth group Christmas Parties without any mishaps). The only requirement is that you have internet access, so having wifi is a good thing so you don’t use too much data on your cellular plan, but I think Apple has done this one right. (a) Settlers of Catan with Seafarers Expansion – This is a game app based off of my favorite board game – The Settlers of Catan, in which there is an island made up of tiles composing various resources with numbers on them. It is a dice based game in which players collect resources, build settlements, roads and cities; and they compete among a limited landscape for those resources. The first person to 10 points wins. It can seem simple but becomes incredibly relational and strategic and can be intense. If you like the app, I recommend spending on the German Board Game that it is based on (and it is not written in German, but English in the US!). (b) Limbo – This is an atmospheric adventure puzzler, in which a small boy is moving through a dark and moody world while incredibly low background noises of the environment get disturbed by violent and sudden death sequences when the boy walks into a trap. Items like bear traps, giant spiders, and lakes can kill, and so your job is to get the boy safely through the puzzles. I’ve been playing this a while and have found that it gets my adrenaline moving, but is also strangely beautiful. I don’t recommend this for anyone younger than 10 years old, due to the nightmare like nature of this one, but adults who played side scrollers like Mario and Sonic the Hedgehog back in the day who are looking for a spin on the genre may find this one enticing. (c) Civilization Revolution (no add ons) – Another Strategy game based in Sid Meier’s Civilization universe. It is a turn based world conquest game that centers around starting as a tribe with a village, and you eventually build an empire with multiple cities, tanks, ships, and wonders of the world. This pared down version of the flagship Civilization games (Civ V being the latest on PC/MAC) is simple enough to beat in an hour or two, but hard enough to be challenged and possibly lose. You research technology, fight with other civilizations, build roads, phalanx military unites and siege empires. The maps are randomized, but there are also many scenarios to enjoy. I’ve played this quite a bit and think its worth the small price. There are a few add ons, but I’ve read reviews that they can crash the game a bit. I’ve not downloaded them, but haven’t needed them to enjoy the game thoroughly. 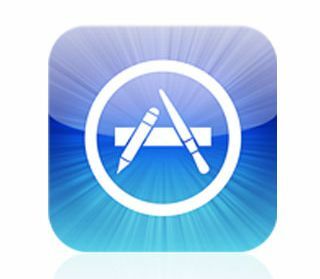 There are so many other apps that I’ve enjoyed so at the end of this blog I’m listing some of them. I can’t write about them all but I thought they deserved honorable mention. I hope you check out some of these apps. Some of them cost a little but they’re worth it. On the bad side, I hope you have some gift cards if you’re going to take risks downloading apps. Its awefully easy to just spend money and I hate waste – so try to download the best and do your research. Growing up I didn’t even know about Lent. The pentecostal congregational style of discipleship was based on two things. Reading the Bible, Prayers (public and private), and the work of the Holy Spirit (healings, prophecy, fillings, etc.). There was a lot of activity but there wasn’t a lectionary based movement from year to year. The main holidays that ordered the year were Christmas and Easter, but seasons like Lent or Advent were largely lost on us. I remember times of fasting, but they were not in the context of traditional seasons – they just happened as the pastor or the leadership team called for times of spiritual growth and maturity. Then I ended up at a traditional Methodist church as a youth director. I’ve had the time to slowly acclimate to the traditional forms, and I’ve found that they are handy. (1) They remind us each year of some of the most important themes of Christianity. (2) I also like it that the reading of the whole Bible is possibly if one follows the lectionary for two years. (3) Repetition is the Mother of All Learning (as the Russians say), and the repetition each year helps me to try to get things right that I did wrong. Well, there is more, but my point is that I have grown to love the seasons of the lectionary. Last year is the first year that I participated in Lent. Everyone immediately starts talking about what they are going to give up for the year. I figured that it should not be something easily given, so I picked television. At the time I was watching a lot of comedy programming in the evenings, and I felt it would be hard to do. So I did it. My wife decided that she would give up cheese (which turned out to be the hardest fast of all – cheese is on EVERYTHING). I read more than I have ever read in that time period. I felt more evenly balanced and had time to do other things. I saw movies, but that was only every once in a while at the theater and I felt that they were rewards for the time I was giving up elsewhere. It was a good time and I felt my spirit lifting a bit. Then, I found myself a year later. Lent is upon me again in 2012 as it was in 2011. I asked my wife what we would be doing this year. She instantly mentioned that I should try giving up Video Gaming. She would give up deserts. I noticed that her options always have a health kick in them – which isn’t bad, God calls us to take care of our bodies (Romans 12:1, 1 Corinthians 6:19), so it works. I felt that I needed something different his year, however, and I noticed a different nuance of Lent that appealed to me. Rather than merely stripping something away, I could add some small things that would bring me closer to God. I thought about it a while and asked myself what I lacked spiritually and it came quickly. Every week at youth group I encourage young people to read their Bibles regularly, pray regularly and spend time with God. I find that in the midst of working the ministry, I often find myself paddling the boat myself, never asking God to row a few. I end up struggling quite a bit and then I remember that I need to get back into the habit of regular Bible Study and prayer. I’m not talking about what I do for youth group devotions or studying for the Confirmation class I teach. I’m not even talking about the scripture I read as I write my articles for the local newspaper. I need to spend some time reading scripture that will speak to my soul. It is for me alone, from God, to my spirit. All the other work I do, I ask God to speak through me – in this, I realize I need God to speak to me. So I started today. I am reading a Youth Devotional (I like Youth Devos because they are two the point and contain a lot of scripture) done by Josh McDowell, and it is on my phone. I always have my phone so I never have an excuse not to read, and the devotional includes a basic prayer that I may read and make my own. I like that. So this Lent I have decided to add rather than subtract. I feel good about this and I’m excited where it will take me this year. The rise of technology and its integration into everyday life during my own lifetime has astounded me. When I was born, the Internet did not exist. When I entered elementary school, I learned how to move a green pixelated turtle on a screen using complex computer code. Later I learned how to find my favorite video game magazine on the newly founded World Wide Web when I visited my dad at work. In middle school, I took computer study skills and learned how to manage life through typing and computations. By high school, I was using Adobe Photoshop for graphic design. Now, I study the Bible using tools that incorporate texts going back millennia, which have been digitized and placed within a program to do what the Library of Alexandria must have done ages ago. This progression only took a few decades. Some people react to the rapid changes in culture with fear, others accept it wholeheartedly and find their identity in the mobile devices and electrons. Most people, though, just wait until something becomes useful to them and then buy products that are easily explained and implemented. This is probably the reason the iPod and iPhone from Apple have been so successful and why other platforms are catching on to the importance of ease of use. You use your finger and have access to your contacts, can make a phone call, listen to music, watch a video, browse a website and level a shelf all using the same device. The buttons are easy to press, and things happen. If it works in everyday life and business, then it’s a winner. A friend of mine brought all this to my attention a few years ago, exclaiming that life has completely changed all because of technology. I thought about that for a bit and something occurred to me that really changed my thinking on the inanimate world of silicon. In our world, what is the most changed factor in the growth of technology? Likely, the first response would be knowledge. Knowledge and ideas make advances possible, and the Internet spreads knowledge to the ends of the Earth. The most important ingredient to progress and change in the world is not these inanimate things written down or placed in a plastic box with a screen. In our world, the center of all our advances and growth has come from one thing and that is this: There are more people living on our planet now than have ever been. There are more people thinking about solutions to problems than have ever been. As minds are freed up to tackle issues, and brilliance is allowed to flow like water — the real ingredient to our advance as a species — more people do more good things. Ideas flow as a river from the many centers of human thought. Without people, there would be no technology. In the first book of the Bible, God makes two people and tells them to multiply and become rulers of all living things. In the first and second chapters of Genesis, humans are caretakers of the Earth and the resources within it. Later Abraham, the father of the Israelites, was promised that his descendants would be as numerous as the stars in the sky and the grains of sand on the seashores (See Genesis 15-17). He took that as a blessing and held on to that promise. As the Earth reaches 7 billion people, we have challenges concerning food distribution and our proper relation to the environment. Many face starvation across the globe. The promise to Abraham inferred that they would be a light to the nations and a blessing to all the peoples of the Earth. If we have been given the blessing of more people and knowledge increases exponentially and our devices have become more and more entertaining, we have wasted our promise if we do not take our responsibility as a growing humanity to help solve the problems of homelessness, hunger, disease and lack of education. The only real technology is more people, and the best way to make that a good thing is to make sure everyone has opportunities to contribute to the greater good. Daniel Griswold is the director of youth at St. Andrew By-the-Sea United Methodist Church. Read his blog at http://www.danielgriswold.wordpress.com. Follow him on Twitter @dannonhill. It was a sunny day at Coligny Beach on the island about two weeks ago when I noticed what looked like a large cloud of fog about to roll in. It looked like a cloud, but it was not high or low. The whole horizon was covered over the trees. Not knowing what it was, we made plans to pack everything up thinking perhaps that a storm was about to blow in. Slowly whatever it was rolled up while we walked to the car and we quickly realized that it smelled like smoke. It was a Facebook notification that tipped us off as to what it really was. 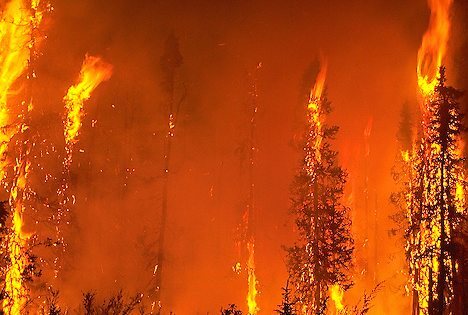 In Georgia, about 40,000 acres had been burning and the pine smoke had sifted up the coast and begun to cover our area. Both Bluffton and Hilton Head Island would intermittently have smoke cover the sun in a haze. My first reaction was simply economic. I thought to myself that tourists who have been spending money in our area probably would have wished to have sunny days smoke free. It was a shallow response based on thinking of myself in the place of the tourists. But my thoughts evolved as I began reading about more fires in the news. Arizona, East Texas and North Carolina also are fighting hard to keep the heat from taking away homes. as they meet the challenge and the dangers. The Boston Globe once ran an article on the Thanksgiving holiday that drew my attention. In it, the historical reasoning for a day of thanksgiving was explained. The celebration of food and gladness was actually the end of a long process – only a part of the whole. The beginning of thanksgiving would always be a crisis. There would be a food shortage, a fire would have crippled the community, rain may not have fallen, or a war may have broken out. In those troubling times the Magistrate of a community would call for a time of prayer. Each person would spend time before God confessing any sin they could conceive of and make sure that they were right with God, then they would petition God for an end to the crisis. Their prayers would continue in faith until that one day when the crisis would end and on that day the Magistrate would call for a day of Thanksgiving. The Presidents would continue this tradition in times of troubles until a day of Thanksgiving would be standardized. In all of this, we learn that prayer was valued and people had faith in their God. That God did not wish to see suffering continue and would hear the prayers of the people. The Georgia fires have subsided for the time but many continue the fight in other areas and our prayer will continue until we all can celebrate in thanksgiving together. God, hear our prayers. This is the original copy of the article that ran in the Bluffton Packet (insert in Bluffton Edition of The Island Packet) on Wednesday June 29th. 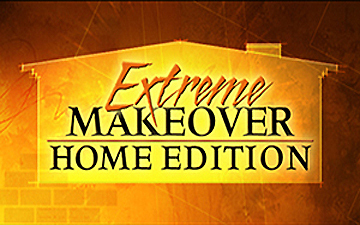 Few things get entire communities excited these days — but the television show “Extreme Makeover: Home Edition” has a way of blowing into a neighborhood like a fresh wind. Rallying people around families in need of proper housing and telling their stories to the world make for a stirring occasion. Honestly, I have a hard time watching episodes of “Extreme Makeover” because I get emotional and my wife likes to look over and see if there are any tears. Two recent local builds, one in Savannah and the other in Beaufort, have highlighted the power of this production to bring together people from all walks of life to reach out and make heaven on earth a reality for some very deserving people. Since losing that perfect safety, people have cultivated the earth to rebuild paradise, and success is sometimes fleeting, depending on the times. People do have a global outlook now more than ever, with access to information in every corner. It is easy to lose oneself in the data, as it is obvious that multitudes of people are not in safe situations and need help. “How can I do anything to bring hope to the world, when I am such a small person?” we might ask. But outfits such as “Extreme Makeover: Home Edition,” and its energetic crew, remind us that a few people with strong vision, lots of energy and the attitude of “We’re going to do something good” can actually bring about change in a modern version of an Amish barn-raising. Ty Pennington hasn’t started something new with his show. The needs that his crew addresses have been met by many in the past and in the present. The churches of the world and the good people who have seen the call to “go out” to the world have been building homes, orphanages and lives for centuries, out of pure love for God’s diverse people across the globe. When the cameras leave town and those in the community reflect on what has happened, hopefully they see a symbol of what all our communities are capable of. With or without a television program, there’s still more work to be done. When I was younger, I knew that Christmas was about the birth of Jesus Christ around 3 AD. I knew the story because I heard it in Sunday School, and the pastor of our church read it. I knew that people all around me kept reminding me that Jesus is the “Reason for the Season”. But I also knew that Christmas meant Presents. There are few things that gets truly as excited as Presents. The other thing on the top of my head (as Jerry Seinfeld tells us in his standup) is Candy. Candy and Presents are the two main factors in many decisions as children. “What presents will I get?” and “How much candy can I get?” The goal of childhood is often to maximize the amounts of those two things, and to ensure the quality of them. So you want Mars and Reeses products on the candy side, and Nintendo and Barbie on the other (generally speaking). But I am no longer a kid, or a teenager, …and I’m not in college anymore, nor am I in any continuing education. I have a job, which pays for my rent and education debt, and food, and now – Presents – for my nieces and nephews and friends. To be honest, aside from a videogame here or there…I’m not enthralled by the presents (or candy) as I once was. I now enjoy the enjoyment of others much more. Not sure when this shift started happening. It certainly didn’t start this year. I think that it began when I got married, and I stopped thinking about myself as much. Though I am a terrible gift giver, I suddenly had someone that I cared deeply about and who loved getting Presents. But not any Presents – but surprises (which I’m even worse at causing to happen) aka – items that mean something Special, and are unexpected. I am not a person with a very surprising personality. I like a few things. I like to hang out, I like to laugh – alot. I like to tell stories, and more, to hear them. I like to have a cup of coffee (now decaffeinated), and to be surrounded by people to don’t have their eye on the time. I also like to be surrounded by people who don’t care what they are doing so long as they are with each other. Simple. Basic. You don’t need a rollercoaster to have fun. I just like to have a table (prefferably round denoting equality) where people can sit and chill. I like relationships. Not very surprising. Pretty basic. So it brings me back to the “Reason for the Season”. Jesus. Yes, you already knew. Jesus is the Sunday School answer to everything. “Why did God do this?” Jesus. “Why did Moses do this?” Jesus. But seriously, I’ve been contemplating Christ for some time now, and as I sit with him around my metaphysical round table, I am beginning to understand quite a bit more about the “Why” we celebrate Christmas, and caring less and less about the Presents (which are nice, but now secondary). I guess you can call my mood romantic. I am becoming more and more in love with God, and as I sing Christmas Carols (sifting through the traditional langauge – thees, thous, etc. ), I see how powerful the story of Jesus is. God came to earth and physically lived with us. I’ve been thinking about that for a while, and I am astounded. Why would God lower himself and be like us…It isn’t very glamorous. It doesn’t make much sense either. If God is infinite and all powerful, He could send waves of water over the whole earth, and every last one of us would be destroyed. A volcano could arise in the center of each of our nations, and our orders would crumble. The wind could come and rip our monuments, our skyscrapers, and our homes to the grounds. 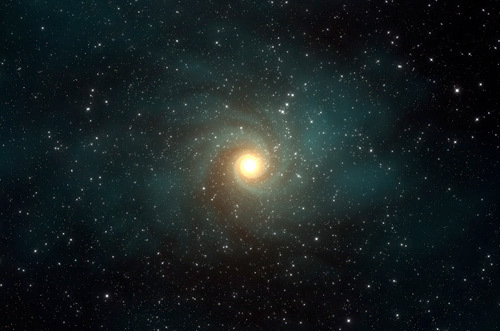 The laws of physics could be changed, and we could be thrown into the void of space. And yet the Creator has continually breathed life into creation. Something that He thinks is worth it, despite its flaws, and the effects of injustice and self-destruction. The heart of our existence is this Mercy, that began in the fact that we Exist. And it is not unfathomable to think that we could all not exist at all. Certainly God does not need us. And in a bold move of kindness to us all, He continues our species, and allows us to care for His creation. And in all this, I can’t help but think that all of this wouldn’t be possible without the moment of God’s birth on this earth He created. Without Christ, nothing we see would have any worth. It would all just be stones in a desperate universe. So Happy Birthday Jesus. The greatest Present of all, is that we can exist at all, and that you still love us anyway. What a strange thought.